YOUNGSTOWN, OH. 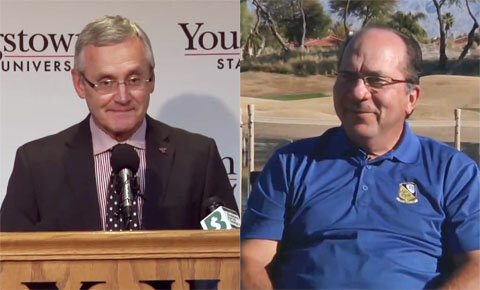 — Former Cincinnati Reds catcher, Johhny Bench and Youngstown State University president Jim Tressel have been named the featured speakers at the 2015 YSU Baseball First Pitch Breakfast scheduled to take place on Saturday, January 17, 2015. Location: Blue Wolf Events at The Maronite Center on Meridian Road in Youngstown. General admission tickets are $25 apiece, and reserved priority tables for groups of eight are available for $400. Corporate packages, which also includes two tickets for dinner with the speakers the night before, are available for $700. Source: Youngstown State University. Photo shows YSU president, Jim Tressel (L) and former Reds catcher, Johnny Bench (R) who will appear as the featured speakers at the 2015 YSU Baseball First Pitch Breakfast. 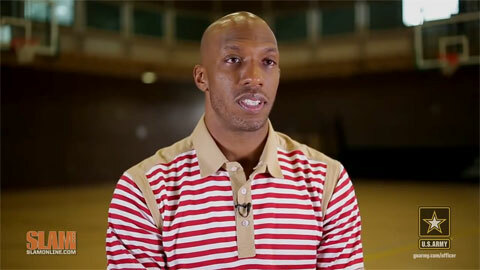 Photo shows Chauncey Billups who announced his retirement on Sept. 9, 2014. WILLIAMSPORT, PA. — Roberto Alomar, a switch hitter who played for seven major league teams between 1988 and 2004 and had a career .300 batting average, was on hand to meet and greet fans and to sign autographs for free between 6 and 7 p.m. as the featured guest at the Williamsport Welcomes the World block party. 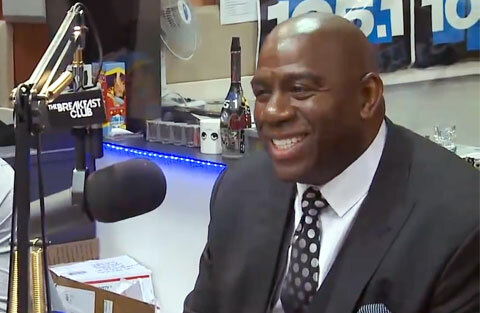 The event took place downtown between 5 and 10 p.m. on August 22, 2014 during championship weekend. Source: Pennlive. 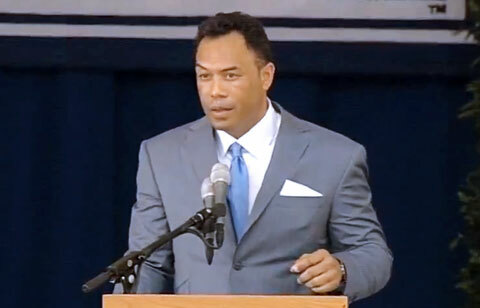 Photo shows 12x All Star, Roberto Alomar, speaking at his Hall of Fame Induction Ceremony. 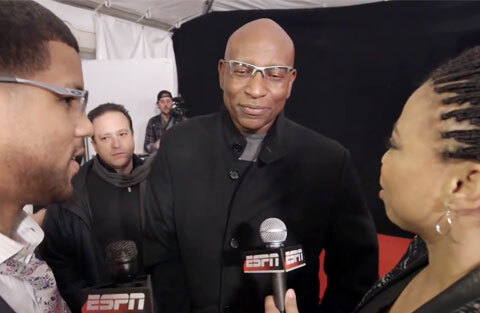 WILLIAMSPORT, PA. — Former MLB Hall of Famer, Dave Winfield, was the grand marshal of the 10th annual Grand Slam Parade that kicked off the Little League World Series activities in the Williamsport area on August 10, 2014. 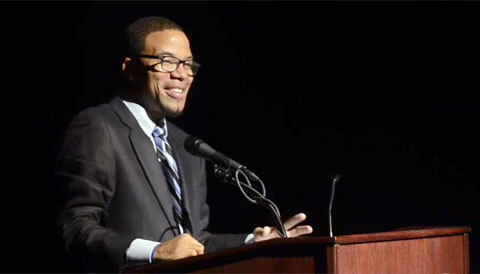 Winfield was also the guest speaker on August 14 at 8 a.m. at the world series kickoff breakfast sponsored by the Williamsport-Lycoming Chamber of Commerce at the Genetti Hotel. Besides speaking at the series breakfast, Winfield also threw out the ceremonial first pitch of the series. Source: Pennlive.com. 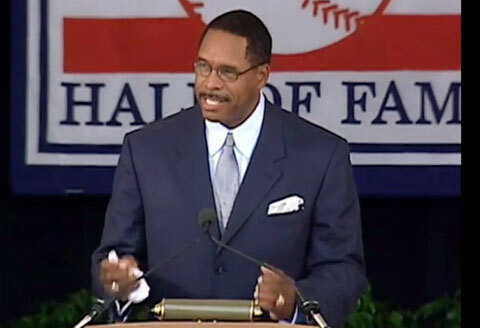 Photo shows Dave Winfield speaking at his Hall of Fame Induction ceremony in 2013. ST. LOUIS, MO. 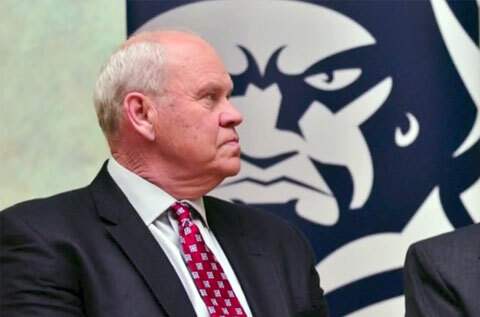 — Kansas State basketball coach, Bruce Weber, has been named the guest speaker at the inaugural Coaches vs. Cancer Coaches Clinic from Aug. 5-6 to be held at the Missouri Athletic Club. According to 247 Sports, to cite souces, Weber will be joined at the clinic by St. Louis head coach Jim Crews, UMKC coach Kareem Richardson, Illinois head women’s coach Mike Divilbiss and Maryville (Mo.) University head coach Kevin Carroll. 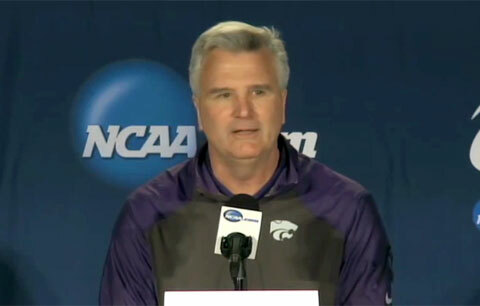 Photo shows Kansas State head basketball coach, Bruce Weber, speaking to the media at the Scottrade Center in St. Louis, Missouri on March 20, 2014.